Enter the city chosen by Lord Shiva as his worldly home, touched by the sacred waters of the River Ganga and a space redolent with the spiritual aura of one the greatest thinkers of the land – the Buddha. 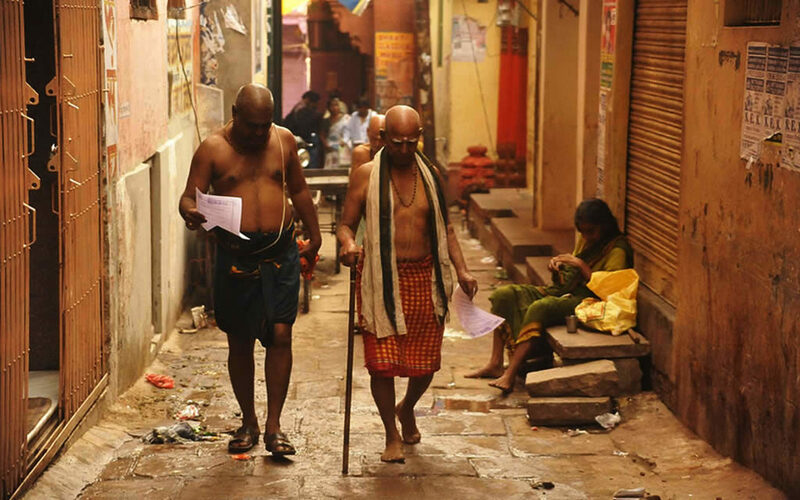 For centuries Varanasi has drawn the seeker and the pilgrim to her river ghats and temples for that ultimate spiritual experience and the final freedom from the cycle of birth and death. Or as they say in Varanasi, “Kashivam maranam moksha”, death in Kashi is the true salvation. Welcome to Varanasi – Kashi – Benaras. It is a city that is ancient and ever rejuvenated, wise and eternal, and never to be forgotten. 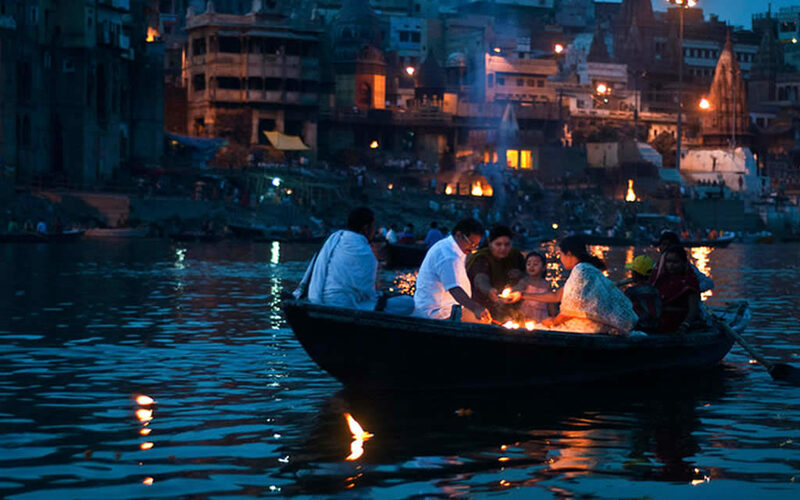 It is said that Varanasi sits on top of Lord Shiva’s trident and he calls it Kashi, the City of Light. Here it is Shiva, the god of creation and destruction who waits for his devotees, forgives them their sins, answers their prayers and rows them across the river of life to spiritual liberation. Shiva is everywhere in a city that loves him with passion and worships him every hour of every day. He is not just their god; he is also their father and friend and a guide through the vicissitudes of life. Varanasi’s complex history goes back to the time of legends. It is said that at the great Kashi Vishwanath temple Lord Shiva was worshipped by Lord Rama in atonement for killing Ravana who was a Brahmin. The Pandava brothers, the heroes of the Mahabharata, came here after the battle at Kurukshetra seeking peace and forgiveness. Varanasi is said to be the site where the jyotirlingam of Shiva first appeared and three temples claim to stand on the site. Varanasi is part of the history of many religions. The Buddha came here after gaining enlightenment at Bodh Gaya. He walked along the river to the deer park at Sarnath where he gave his first sermon. The twenty third Jain tirthankara Parsvanath was born here. The sages Adi Shankaracharya, Ramanujacharya and Chaitanya Mahaprabhu walked is lanes. When Guru Nanak, the founder of Sikhism was wandering across the land, he sat at the ghats with his companion Mardana. Here poets like Kabir, Surdas and Tulsidas have created immortal verses that still live with us. Varanasi will provide answers to whatever you seek. This is the ultimate journey of the pilgrim towards true enlightenment. Varanasi stands on the left bank of the Ganga River in the state of Uttar Pradesh. Two rivers flow into the Ganga here – Varuna in the north and Assi in the south and the original city of Kashi stood between these two points of confluence. Varanasi stands at the heart of the fertile and populous Indo-Gangetic plain. It is 125 km from Allahabad, 281 km from the Uttar Pradesh capital Lucknow and an 809 km drive from Delhi. In the flat featureless landscape of a river plain it is the Ganga that dominates the eye of the visitor. The river moves relentlessly eastward after appearing from the Himalayan foothills but then here it turns north for a while before moving east again. This creates an arc that forms the beautiful river bank of the city with the stone steps of eighty ghats reaching down to the river, topped by the spires of temples and the arched windows of mansions. It creates an unparalleled visual panorama that has charmed visitors for centuries. Varanasi is much more than a pilgrimage. It is an experience that brings back visitors for another look at this fascinating city. They say Varanasi – Kashi is thrice blessed. It has its own special deity in Shiva; its very own river in the Ganga and it has the Kashi Vishwanath Temple calling pilgrims from across the continents. It is today the oldest living city in the world, when cities of the ancient world like Babylon or Luxor that were once its contemporaries have long vanished. A tirtha is a ford, a bridge in the river of life between heaven and earth, across which one travels to liberation. Varanasi is the premier tirtha among the saptapuris, the seven most sacred tirthas of Hindus – Varanasi, Mathura, Haridwar, Ayodhya, Ujjain, Kanchipuram and Dwarka. It has been mentioned in the Ramayana, Mahabharata, the Puranas, Jain texts and the Buddhist Jataka tales. Pilgrims come here with their karma, their life’s record of actions and they bathe in the Ganga to free themselves of the burden of their sins. Others come here in response to a vow, in thanksgiving for prayers answered or to perform the funeral rites or shraddha of people they loved. You will see them sitting by the river before a priest, chanting their mantras to the gods. Varanasi is also a tirtha that accepts that death is inevitable and treats it with acceptance and grace. It is said that when you die in Varanasi then moksha is certain because it is Shiva himself who rows you across the celestial river to heaven while singing the taraka mantra. So since time immemorial people have come here in their last days to spend them in quiet prayer and charity but Varanasi and Shiva do not offer salvation if the sinner does not truly atone for his sins. There is the demi-god called Dandapani who stands at the gates of the city and ensures that only the deserving are liberated and cleansed. When you sit on a ghat, right across the river one can see the dilapidated walls of the Ramnagar Fort. 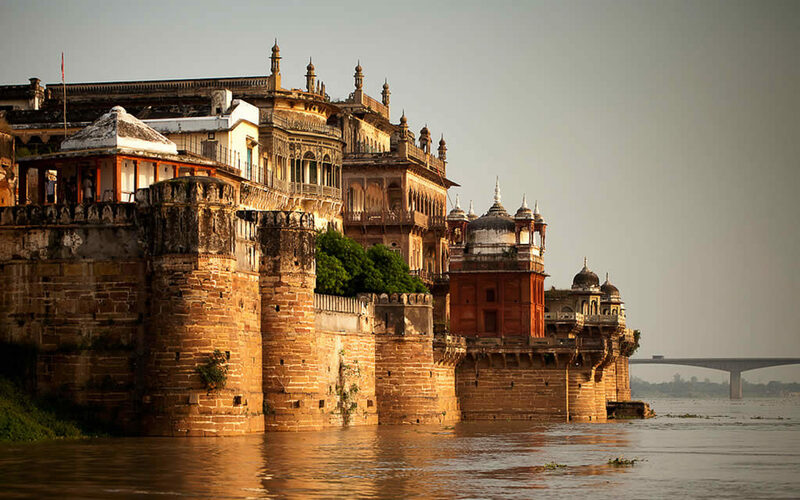 This fort has been the residence of the rulers of Varanasi since the 18th century and the Kashi Naresh, the present ruler still plays an important part in the spiritual life of the city. The rajas of Varanasi owed allegiance to the Mughals and then the nawabs of Awadh and thus the city gained its nawabi culture in music and dance. The Benaras gharana of classical music includes the shehnai player Bismillah Khan and sitarist Ravi Shankar. Ramnagar is reached after a boat ride across the Ganga. It is famous for its Ram Leela celebrations, a month long cycle of plays sponsored by the Kashi Naresh that is enacted on makeshift stages across Ramnagar and Varanasi. The fort has an interesting museum, the Vidya Mandir with a display of paintings, sculpture, manuscripts, arms and armour. 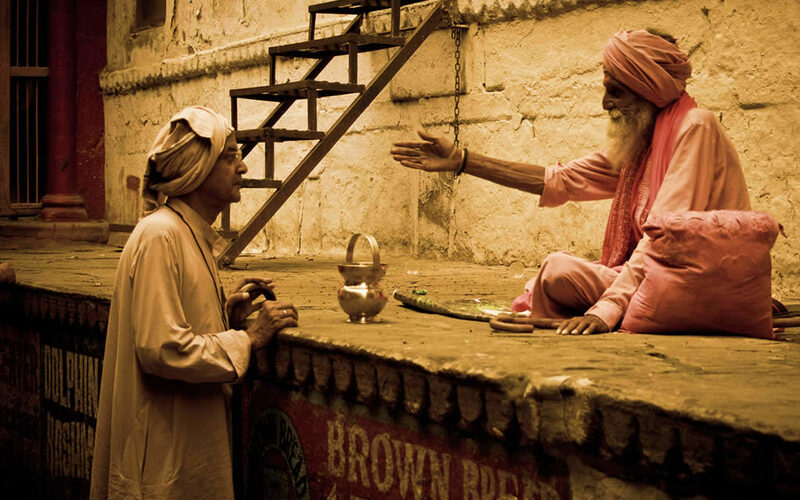 Varanasi is the home of two of the greatest medieval poets of Hindi. Swami Tulsidas wrote the epic Ramcharitmanas in the 17th century and is one of the finest Bhakti poets. Valmiki’s Ramayana was composed in Sanskrit, a language that few understood except the Brahmin priests who used their knowledge for profit. Tulsidas wrote the Ramayana in Hindi in exquisite verses and for the first time it was accessible to everyone as it was written in the language of the people, thus taking it away from the control of the priesthood. 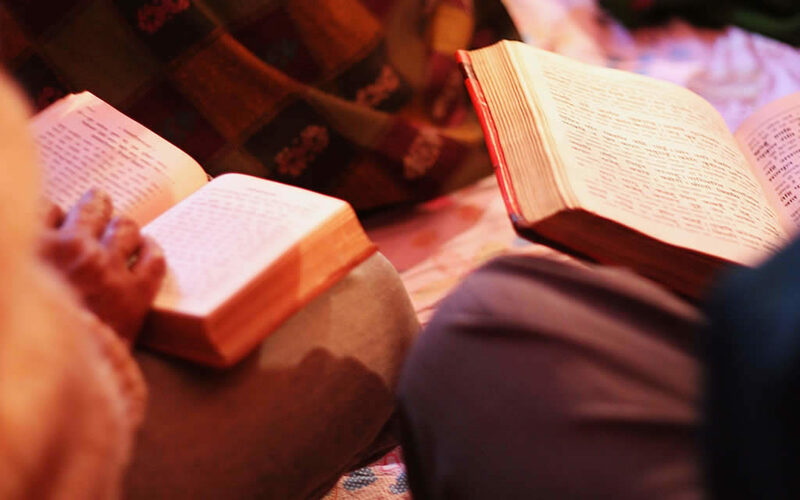 Even today in homes across north India the Ramcharitmanas is read with love and devotion. In the 14th century Kabir was a poor weaver in Varanasi who composed small pithy couplets called dohas that said that all religions are the same and all the gods, Ram or Rahim speak the same truths. Like other Bhakti poets he rejected the brahminical religion and the power of the priesthood and spoke of god being accessible to everyone. For Kabir god was formless, nirguna, and eternal and all you needed to reach god was a handful of flowers and a heart filled with devotion. The narrow lanes of the city are called galis and the localities are the mohallas. To capture the real flavour of this complex, colourful and vibrant city walk along the narrow galis of the mohalla of sari weavers or makers of copper pots. These serpentine lanes are always teeming with people, cycle rickshaws and an occasional ambling cow; noisy with the call of vendors and the bustle of markets. The ancient houses have carved balconies and pillars and doorways are bright with mural paintings. The most famous lane is the legendary Vishwanath Gali that leads to the Kashi Vishwanath temple. The narrow lane is lined with shops and tiny temples and sells everything from religious paraphernalia, ayurvedic medicines to musical instruments and cheap jewellery. Kachauri Gali nearby takes its name for the snack called kachauri and its food shops see pilgrims arrive by the hundred after doing their puja at the Kashi Vishwanath temple. Satti Bazaar glows with silk and brocade saris, while another gali called Thatheri Bazaar shimmers with brass and copper ware, a dazzling array of pots and pans, plates and bowls. From the time of the Buddha Varanasi was famous as a centre of learning. Scholars called rishis had their ashrams in the forests around the city where they taught students in the ancient Indian schools called gurukulas. Many of the Upanishads and Puranas were written here and the ashrams of Varanasi and the monastery at Sarnath were always on the route of spiritual travellers like Hsuan Tsang and the Adi Shankaracharya. The city continues to be a centre of the Indic sciences like Ayurveda, Yoga and the system of astrology called jyotish shastra. Ayurveda means ‘knowledge of life’ and it is the traditional system of healing using natural ingredients like herbs, leaves and roots. The galis have many shops selling vials and powders offering the cure to many maladies. Yoga means communion and uses meditation and exercise to commune with ones spirit to gain peace and serenity. 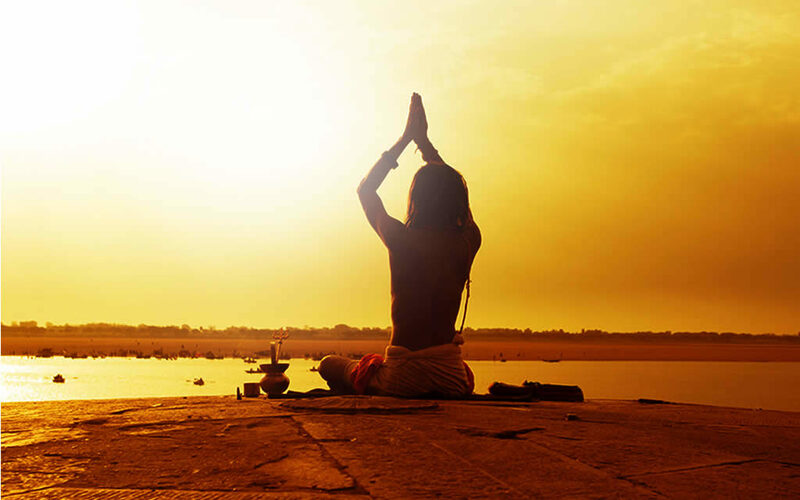 Varanasi has always been a busy centre of yogic practises and yoga masters hold classes on meditation and the asanas. The Hindu calendar and almanac is called the panchang and it is published every year at Varanasi by a team of Brahmin scholars. A panchang lists religious festivals, rituals and also gives guidance on auspicious dates for important ceremonies. Pilgrims visit the astrologers here and also the palmist and experts of numerology. The jyotishacharyas prepare horoscopes, making predictions according to the placement of the planets and stars. 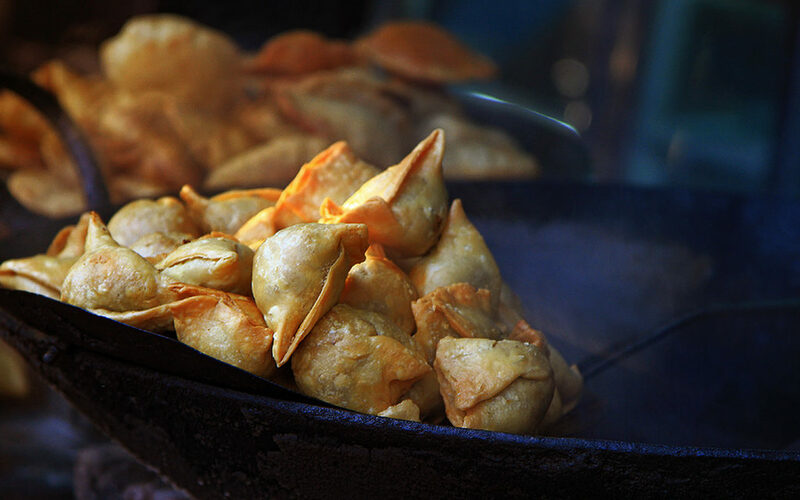 Varanasi has a gali named after a fried snack, the kachauri and another to khowa, a sweet; so this is a city that takes its food seriously. The food shops offer a mouthwatering array of snacks, sweets and refreshing drinks. Also the paan shops offer a large variety of the famous Banarasi paan flavours and the favourite drink of the citizen is the thandai. The festival calendar of this lively tirtha is chockfull of celebrations and many of them come with their own menus. On Makara Sankranti when the sun enters the Makar Rashi housewives make sesame seed laddus; on Diwali the sweet shops make sugar animals and on Holi the thandai drinks come spiked with bhang. During the Annakut festival the Annapurna temple on Vishwanath Gali there is a legendary spread of food as the courtyard is covered with offerings of sweets, grain, lentils, vegetable and fruits that are then distributed among people. It is said that the Buddha’s shroud was woven by the weavers of Kashi. The city’s most famous product is the lovely banarasi silk sari glimmering with gold and silver motifs. Once woven for the dancers at the temples, the devadasis, these include the kinkhab brocades, jamdani, baluchari, tanchoi and valkalam patterns. Everything needed in a puja room can be found here, from brass and copper utensils, images of deities and even their clothes at the bazaars like Thatheri and Vishwanath Gali.